Where does that road go, how far is that great beyond? Photo taken in Morocco. We met up for lunch in February, she and I. She had resigned a week ago and was serving a two week notice period. I was not 100% surprised by her resignation. I knew she struggled to keep up with the demands of her sales job. I noticed she took medical leave fairly often. But I still did not expect her to leave so soon. Over our bibimbaps, she said she was sure she did not want to work in sales again. This would be her first and last sales job. But she was not sure what she wanted to do next. She fretted about not having enough marketable skills. She wondered about how hard it might be to find a job as a foreigner in Singapore. She continued, “The problem is, I don’t have any strong interests or passions. I find that after two hours of doing anything, I get bored. Then I end up wasting time on social media”. She looked at me, worry in her eyes. I was in a similar position after I left the civil service. No marketable skills, general degree, not much concrete work experiences. For close to a year after leaving, I was lost and afraid. I applied for many jobs and hated the process. Most of my applications disappeared down some black hole. The few interviews I did lead to nowhere. I got a couple of jobs, only to quit both in tears after a short while. I had no idea what career I wanted. I had no idea what to do with my life. Yet, somehow, despite the despair and humiliation, I kept going. Kept hoping. Then, one sunny afternoon, I got the call that changed my life. Tiffany & Co. started as a stationary store. Nokia was once a paper mill. Dupont used to produce explosives. Life does not often go exactly as planned. For businesses, and individuals too. We set a goal, and as we move towards it, new possibilities and frontiers for exploration open up before us. Marshall Thurber called this phenomenon precession. Lost and don’t know what to do with your life? Keep moving forward, towards something. Marshall said that the mere act of moving forward is powerful, because motion sets off discovery, growth, and change. Along the way, you might find a more worthy or fulfilling purpose than the one you originally sought. Here I am today, a marketer at a tech startup. I never envisioned I’d work in marketing back when I was a student. I never even studied marketing in university. But the opportunity presented itself after I received that life-changing call, and I’ve been doing marketing for three years and counting now. As I go down this path, all kinds of magic, beauty, and opportunity have bloomed around me. My marketing career has taken me to interesting places, from a digital agency to a global corporation to my current startup. It has enabled me to meet so many smart, talented, and inspiring people. The ex-army sergeant turned internet marketer. A sharp-tongued maverick who taught me to fear less and dream big. A lad my age who crossed an ocean to build a new life here. As for myself? Thanks to all the writing I do as part of work, I’ve honed my writing skills, discovered my “voice”, and started this blog to share my thoughts with the world. 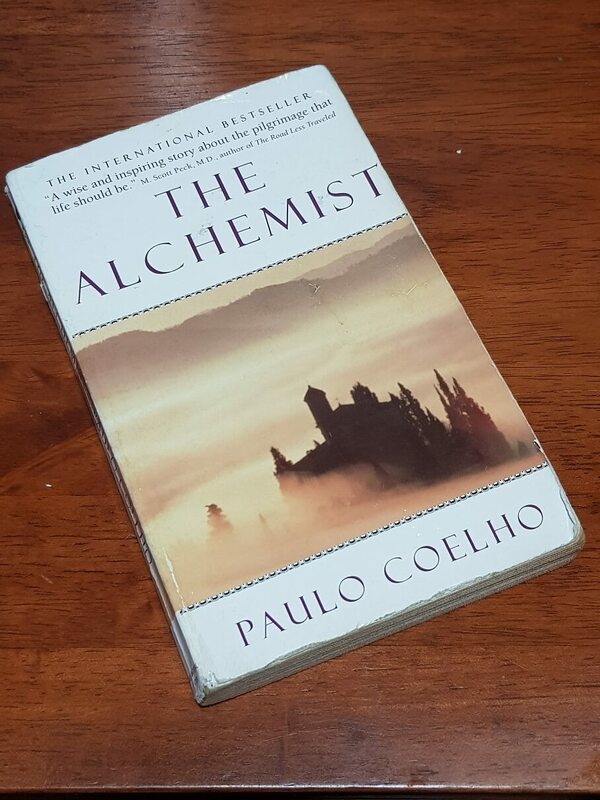 You know the main character in Paulo Coelho’s famous book, The Alchemist? He left behind a shepherd lifestyle in his native Spain and travelled to Egypt in search of buried treasure. Had loads of adventures along the way. Made friends, fell in love, lost everything, reinvented himself, lost and gained a few more times, and got in touch with his heart. SPOILER: He found the buried treasure. But at the end, he also realised that everything he experienced during his epic journey was as valuable and worthwhile as the treasure he sought. You can say that the real treasure was his adventures. I want to be that dude. I don’t know how far I’d go with marketing. It taught me so much and I enjoy it, but I don’t see myself becoming the Chief Marketing Officer or something. I’ll continue watching what happens out of the corners of my eyes as I go forth in life. I told her to focus on the present. Because the present is all we have now, and there’s a lot more we can do about it than the past and the future. … and above all, keep moving forward. You’ll never know what will bloom along the way, what new thing about yourself you will discover (or re-discover). Not unless you watch what happens out of the corners of your eyes as you move. So, keep an open mind and heart. She told me that of all the conversations she had before her departure, ours had been the most helpful.